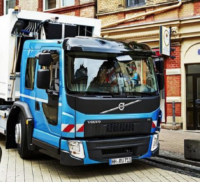 Cities are leading the way in transforming how we use large vehicles on our streets. 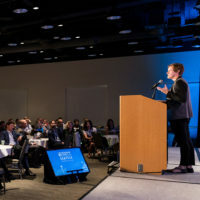 Nicole Payne will share her insights on working for greater social equity in transportation programming and policy as the keynote speaker for the 2019 Washington Bike Summit. 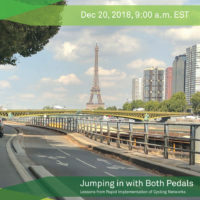 Tune in for a discussion of the social, design, and political aspects of forward-thinking mobility, and hear insights on the efforts to elevate the state of bike networks in Paris and Sevilla. On Monday 20th November and Tuesday 21st in Brussels, PEBSS (Platform for European Bicycle Sharing & Systems) held its Cities + Smart Bike Share Workshop, specifically designed around implementing PEBSS’ Policy Recommendations for Smarter Bike Share, incorporating all forms of bike share, including of course dockless solutions and all variations. 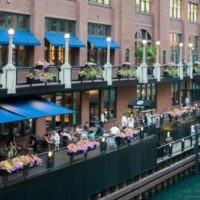 Please join the Shared-Use Mobility Center for a spooky “Scared Mobility” NACTO reception along the banks of the Chicago River on Halloween night. Bringing together the brightest in urban bikeway design and implementation, the C4C Technical Meeting offers cities from around North America a chance to share their work from the past year, and an opportunity to engage in deep-dive discussions of technical and strategic topics. 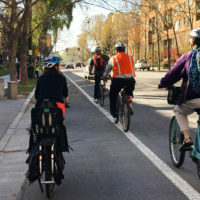 Join the City of San José and NACTO for a community roundtable discussing the opportunities for people-friendly streets and active transportation connections in and to greater Downtown San José. RSVP Here. 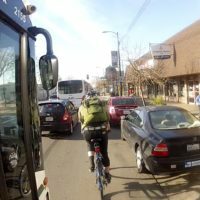 City of San José staff and civic leaders, along with peer cities from the Bay Area, are invited to join us for a workshop on cutting edge design techniques for better, safer, and more inviting on-street bicycle infrastructure. 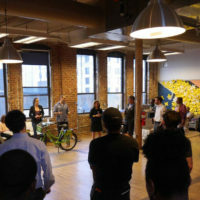 Hear from Kate Fillin-Yeh, NACTO’s Director of Strategy, on ways to accelerate project delivery in your city. Part of a larger breakout session, “Build Great Places for Bikes in your Community” at the 2017 PlaceForBikes Conference. 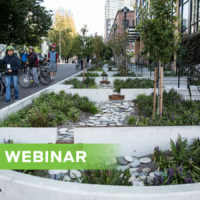 The Vision Zero Network is hosting a Vision Zero 101 webinar, covering the basic principles of Vision Zero. 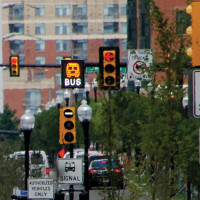 This is a great opportunity to learn about Vision Zero’s safe systems approach, how it differs from the traditional traffic safety approach, and how this concept is spreading across the country. 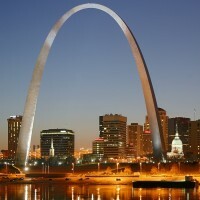 Infrastructure Investment: What’s at Stake? Just another ten minutes of walking a day can lengthen a person’s life by years, but the streets of today are designed primarily for cars, rather than for people. Good design principles and new technologies can help us create more healthy streets, whether in busy commercial districts or suburban areas. How can city policymakers prepare our current transportation system for a wave of new technology? The American Planning Association hosts a webinar panel of young professionals in the transportation planning industry. 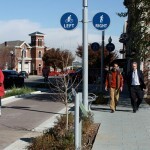 The Mid-Region Council of Governments (MRCOG) will host a training on the Urban Street Design Guide, led by NACTO Certified Trainers Rob Burchfield and Jeremy Chrzan. In 2014, Americans took 10.8 billion trips on public transit, the highest since the dawn of the highway era. But most of these trips are on streets that were designed to move private cars, with transit as an afterthought. 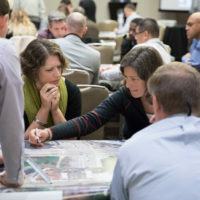 On April 27, join Matthew Roe, Director of NACTO’s Designing Cities Initiative for a discussion about how NACTO’s new Transit Street Design Guide can help streets of every size be redesigned to create great transit streets, supporting strong neighborhoods and downtowns. 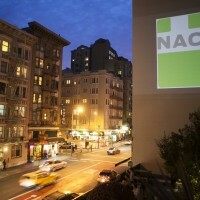 The 2016 Annual Meeting of NACTO Members will take place in Washington, DC. 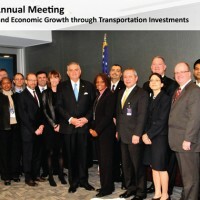 Transportation Officials (NACTO), with support from the US DOT Federal Highway Administration. 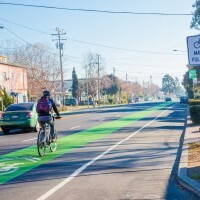 As part of the Oregon Active Transportaiton Summit, NACTO will hold an all-day training on its Urban Bikeway Design Guide conducted by practitioners working in Portland and nationally to promote and refine best practice bikeway designs. 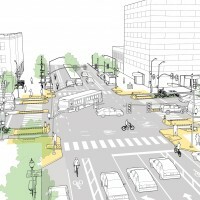 This training will be a combination of presentations and a charrette to allow attendees to apply some of the concepts in the Urban Street Design Guide to redesign an intersection in downtown Portland. Join VTA, the City of San José, and NACTO for a fun evening reception at SPUR San José. 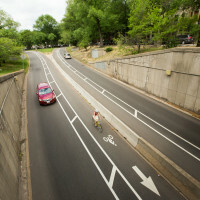 The City of Charlotte, in partnership with the Knight Foundation and NACTO, are pleased to offer this full day workshop focusing on innovative bikeway design. 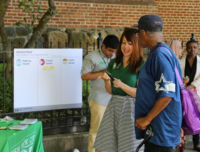 The Green Lane Project and the City of Atlanta, in partnership with the Atlanta Regional Commission, are pleased to offer this full day workshop focusing on innovative bikeway design. 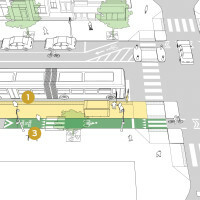 Join NACTO and the Green Lane Project for a full-day training on the Urban Bikeway Design Guide, a state-of-the-practice manual for designing bicycle facilities in urban areas. 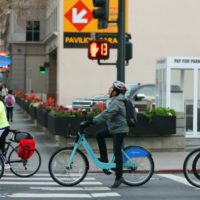 A conversation with Ed Reiskin, NACTO President and SFMTA Director. 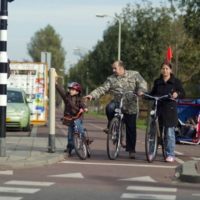 How can you adopt (or create) a street design manual for your community that helps create beautiful, safe and delightful streets? 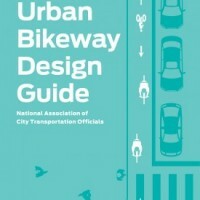 And is a better manual really the answer to your city’s street design problems? 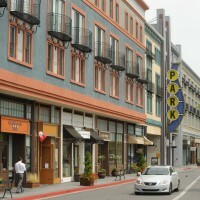 The San Mateo County Health System and Grand Boulevard Initiative have organized three trainings to introduce city and regional leaders and practitioners to emerging engineering guidelines that enable sustainable street designs that maximize the opportunity for safe, walkable and bikeable communities. 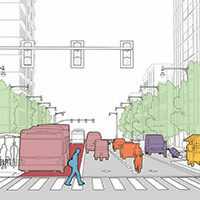 Take a page from the National Association of City Transportation Officials’ new Urban Street Design Guide and explore the cutting-edge techniques being used in two very different urban environments — Atlanta and New York. 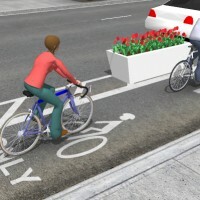 This training on the Urban Street Design Guide is offered as part of the Oregon Active Transportation Summit. This training on the Urban Bikeway Design Guide is offered as part of the Oregon Active Transportation Summit. 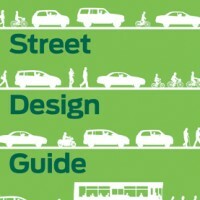 NACTO’s Urban Street Design Guide charts the principles and practices of the nation’s foremost engineers, planners, and designers working in cities today. Hear from leading experts in street design who contributed to the development of the NACTO Urban Street Design Guide. 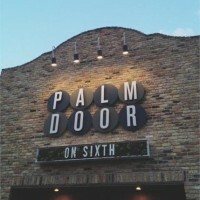 A pioneer bicycle-friendly city in the southwest, Austin has successfully boosted their bike mode share through ambitious expansions of their on and off-street bike network. 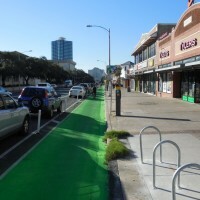 Moving forward, the city is committed to building more protected bike lanes and was one of several cities selected to participate in the Green Lane Project. Based on the groundbreaking work and collaboration of cities across the nation, the Urban Street Design Guide harnesses the innovation and expertise of our nations’ foremost engineers, planners, and designers working in the public realm today. 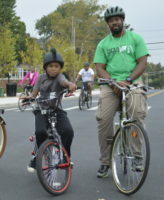 On May 9-10, 2013, NACTO’s Cities for Cycling Road Show series headed to Indianapolis, IN. The Road Show coincided with the ribbon-cutting for the Indianapolis Cultural Trail, a urban bike and pedestrian pathway running through the heart of Downtown Indy. Enjoy cocktails and mingling at Battery Gardens in Lower Manhattan. 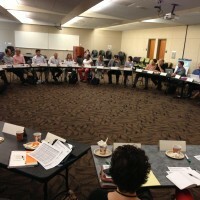 Meet the Cities “Speed Dating” Activity Check out the latest sustainable transportation projects around the nation. Join us March 29th & 30th to learn how cities around the United States are redesigning their streets to be bicycle friendly. 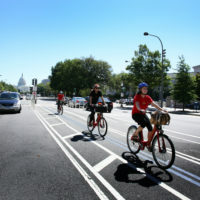 Representatives from Austin, Boston, and Washington, D.C. will share lessons learned and best practices in bikeway design, bike sharing, and related topics.